Interview with Eliza Mada Dalian — a self-realized spiritual teacher — on what we can do to create a new way of living and being. With all the calamities that have been occurring on the planet, what are the lessons that we can learn about life and ourselves? Mada: Most of us take our life on this planet for granted. When something dramatic happens, it forces us to re-evaluate the reason we are here and why we do what we do. Calamities, illness and death are the greatest teachers and awakeners. They shake us up and take us out of our comfort zone and illusion of separation. Our struggles and hardships give us opportunities to grow and realize that life is a temporary gift for us to love, cherish, and be grateful for. Unfortunately, because we are slow in learning this lesson, existence throws more challenges our way to help us wake up and re-evaluate the way we live our life. To me, the main lesson behind natural calamities and the crumbling global economy is to help us understand that life is a flux and nothing here is, or can ever be, permanent. These times in our human history are very special. They happen every twenty-five thousand years. We are again at a brink of a mass scale opportunity to wake up from our sleep. To do this, we must turn out attention inwards and find that part within us that is never born and can never die. All we have to do is shift our focus from outside to inside. If we start to look inside, and teach our children to do the same, we can avoid the hardships that calamities inevitably bring, and find true liberation in the opportunities that are coming our way. Why are we so slow to learn that we must look inside for our happiness? Mada: Built into our nature are three basic qualities: adaptability, forgetfulness, and hope. Adaptability and hope help us to move on, no matter how difficult and tough things get. Sadly, we are not trained to stay alert and look at the lessons that different situations offer us. We quickly forget and fall back into our mechanical unconscious behavior patterns. Therefore, it is our responsibility to looking inside and contemplate over what each moment brings us and ask the fundamental questions: Who am I? Where do I come from? Where will I go after I die? What are the opportunities that are available to us in the upcoming years? Mada: In the time of global crises we are given many opportunities to look inside and awaken to our true reality. Through crises existence forces us to come out of our pattern of forgetfulness and evolve into greater consciousness. So all calamities are nothing but reminders. Because of our habitual pattern of forgetfulness, we seem to need repeated reminders to understand that we are only temporarily visiting this planet. The ups and downs of life teach us that anything can happen at any moment, so we can’t take things, people, our health, or life for granted. We must remember that our life here is an opportunity to learn, discover our gifts and talents, and contribute what we can to make this planet a better place for everyone. Does this mean learning to live in the unknown? Mada: Absolutely. We must all learn to look at the unknown as a dear friend and be excited about welcoming it. If we are open and present to what each moment brings then what needs to happen through us will be effortlessly revealed. The changes that we are now experiencing globally bring our consciousness to new heights of understanding – to be in the present, in the now, is what life is all about. What does it mean to be in the now? Mada: We can only live and experience life in the Now. Being in the now means to understand that every moment is fresh and new. It means not to hold on to anything and to live in this newness. Every moment is different. To live in the now we must learn to let go of our desire to change what is. We must learn to let go of what came and went and transform our fear of the unknown. Living in the Now means saying ‘yes’ to whatever is happening, in this moment without holding on to the past or hoping for a desired outcome in the future. Every moment opens a new door. For example, if you are rejected in this moment maybe it is because you need to be by yourself, feel your emotions and pain, and understand the cause of your insecurities so that you can find your own inner light and strength. What does spiritual awakening mean? Mada: Spiritual awakening means you understand that the journey is the goal. You full-heartedly accept what is and say yes to whatever life offers you. Spiritual awakening means you have discovered the silent presence of your being and know that you can never die. It means you have found your individuality and can follow your own inner truth without depending on other people’s approval or disapproval. You know that if someone criticizes you or doesn’t like you it does not disturb your inner peace because you understand that what is directed towards you has nothing to do with you but is only a reflection of their own inner state. What’s the most important thing we can do for ourselves to help create a better life for our community and ourselves? Mada: First, begin by exploring and understanding yourself. Understand why you feel and act the way you do. Understand what causes your insecurity, pain and suffering, why you judge yourself and others, why you have a hard time to accept yourself and others. Once you understand these things, do what it takes to transform your unconscious beliefs and thought patterns into consciousness. Also, learn to follow your intuition. This means instead of following your mind and conditionings, follow your heart. Intuition is connected to your heart’s intelligence. Intuition is always spontaneous. The mind forever mulls things over and considers the pros and cons, while life slips by. Life is in the moment. It is always unpredictable. Following your intuition means being present in the moment and acting according to what the moment dictates. It means responding to whatever life brings you instead of reacting to it or trying to control situations or people. It means not being afraid to make mistakes and instead learning from your mistakes. It is time for us as humanity to learn a new way of thinking, being and living. We must learn to let go of all our fears and live every moment as if it’s our last! 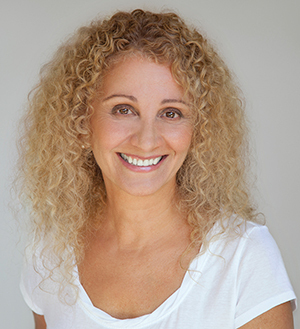 Eliza Mada Dalian (affectionately referred to as Mada) is a self-realized spiritual teacher, best selling award winning author of In Search of the Miraculous: Healing into Consciousness, and founder of the evolutionary Dalian Method™ (DM). This ingenious groundbreaking self-healing system is for the new humanity. It brings the future of healing and personal transformation to us today. DM compliments and goes beyond all healing modalities by working with the body, mind, emotions, spirit, and consciousness simultaneously to access and eradicate the root cause(s) of fear, pain, and ailments. It is practical, fast-working, and adaptable to each person’s own needs. Mada is revered internationally for her extraordinary abilities to heal and awaken people to their inner Truth. She has helped thousands of people to permanently heal their physical ailments and incurable illnesses, and transform their fear, insecurity, depression and inner unrest into self-empowered consciousness. She offers Seminars, Retreats, DM Coach and Facilitator trainings, and private sessions internationally. For the new book and CD set with the self-healing Dalian Method and special offers visit, www.MadaDalian.com.